The business impact can include costly production downtime, safety failures, and environmental release of hazardous materials, as well as theft of corporate secrets such as sensitive information about formulas and proprietary manufacturing processes. The challenge is compounded as organizations adopt digitization initiatives and IT/OT convergence to support the business — removing any “air-gaps” that may have existed in the past. 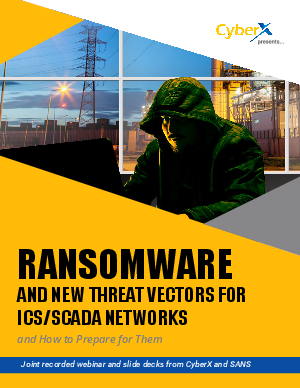 To help security and operations teams stay ahead of the latest ICS/SCADA threats, CyberX — the industrial cybersecurity company founded by military cyber experts with nation-state experience securing critical infrastructure — has partnered with SANS to create educational content about emerging ICS threat vectors and how to defend against them.